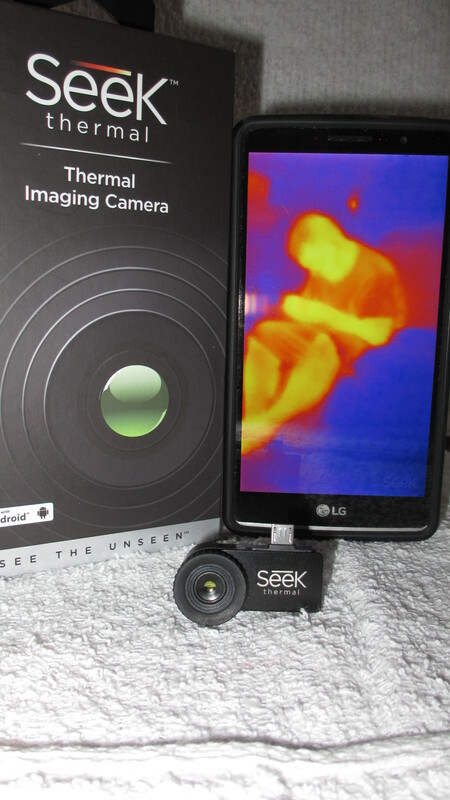 New for 2016, I am looking forward to using my SeeK Thermal Imaging Camera. I need to invent a frame which will hold the cell phone just above my IR camera so I can capture both thermal and IR video at the same viewing advantage. Best settings are no flash and burst mode which takes pictures continuously when the button is pressed. K2 and Ghost Meter. 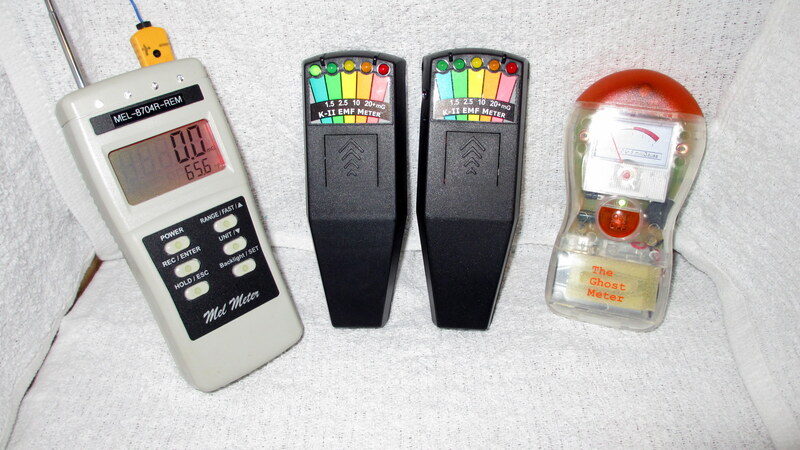 These meters are one of the basic tools of ghost hunting. 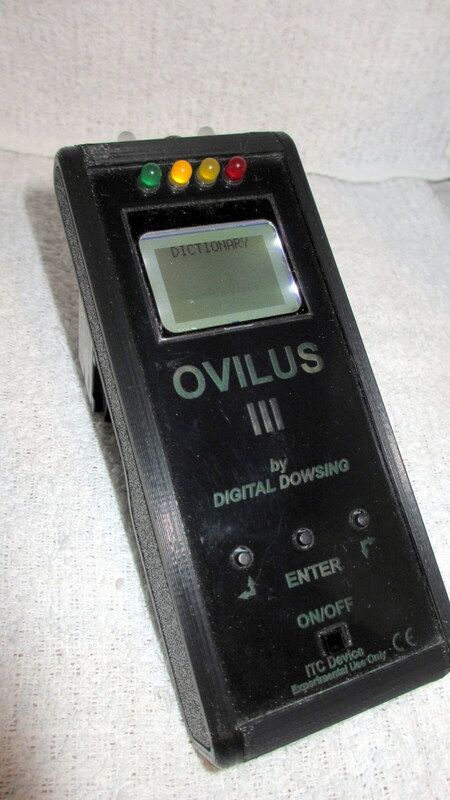 They detects the electromagnetic field. Be careful of false readings around electrical lines, florescent lights and people using radios to communicate. 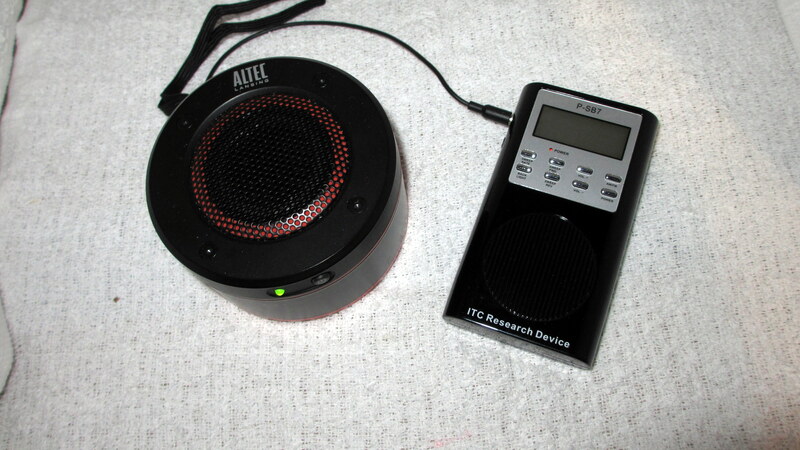 This is known as a Spirit Box and external speaker. The B-PSB7 Spirit Box is a great compact tool for attempting communication with paranormal entities. It uses radio frequency sweeps to generate white noise which theories suggest give some entities the energy they need to be heard. When this occurs you will sometimes hear voices or sounds coming through the static in an attempt to communicate. I chose the Pro Em Pump because how it generates EMF. It is NOT a spinning magnet. 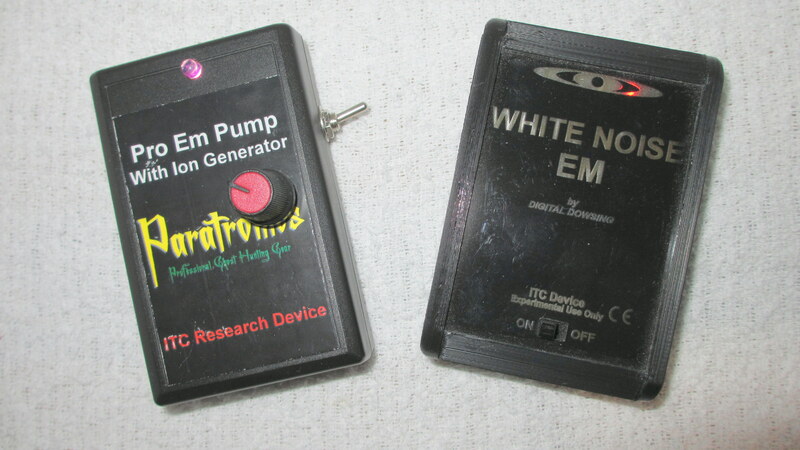 The White Noise EM generator is another tool to for the spirits to use for communication. 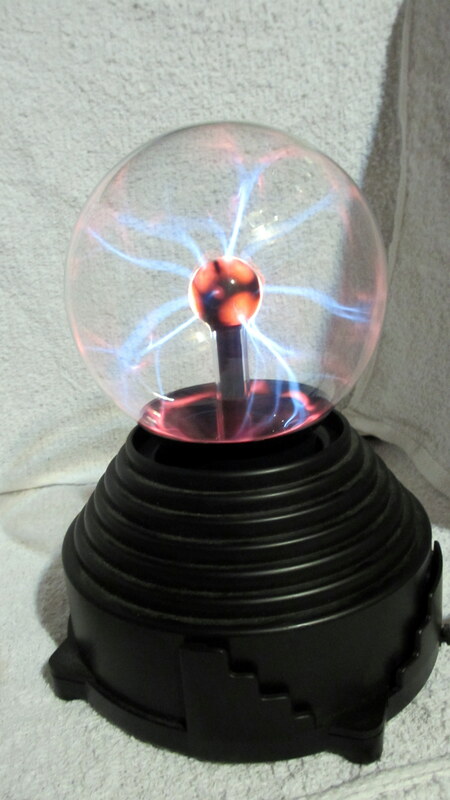 The Electric Ball is a very cool experiment. I idea is that it will attract the spirits and help them to communicate. I actually filmed this during an investigation and watched that video for 3 hours. (Nothing!) 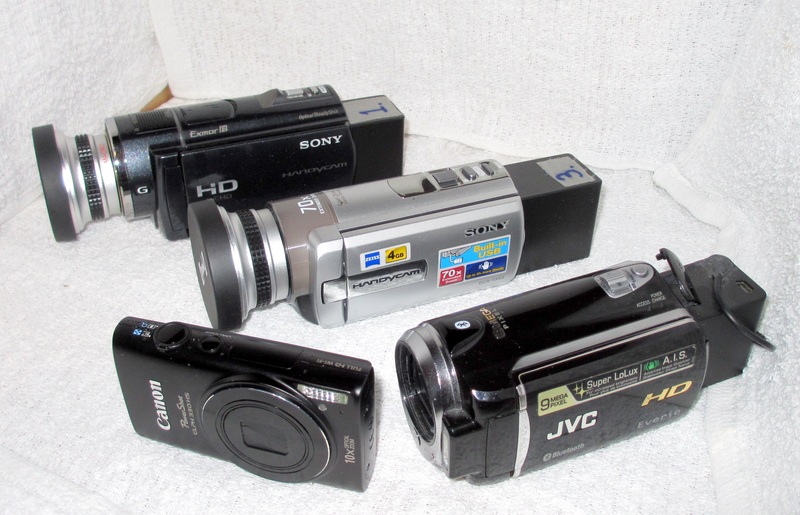 But, I did get some really good EVPS. If you do this be prepared to have a big cup of coffee while you stare at the electric show. 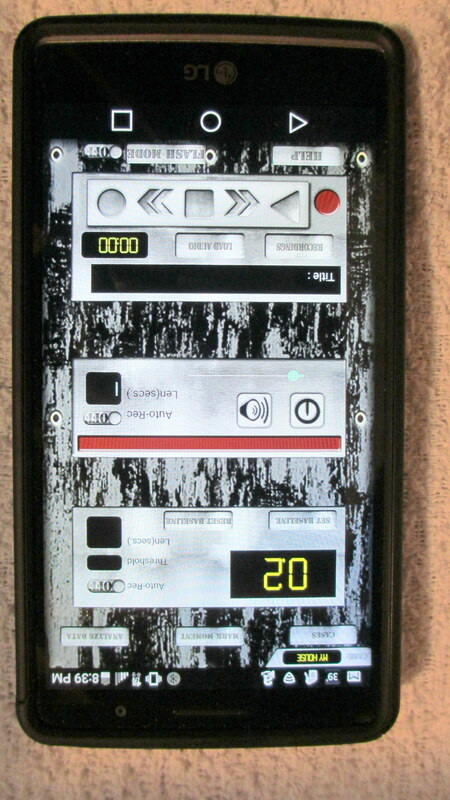 I have the TAPS ghost hunting App on my cell phone. Have not tried it yet due to the numerous other devices I am carrying. 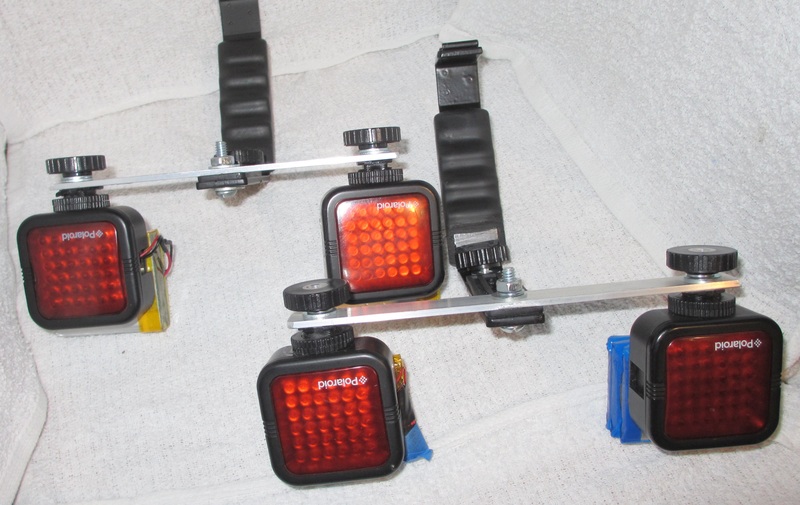 My Polaroid IR light sources are redesigned and fabricated by Electrical Engineer Dustin Boyle. He identified a flaw in the original electronics which would burn out the actual IR LEDs. Dustin designed a circuit board which was more efficient and allows my modified 2000mAh battery pack to last up to 5 hrs of continuous running. This experiment is new for 2016. 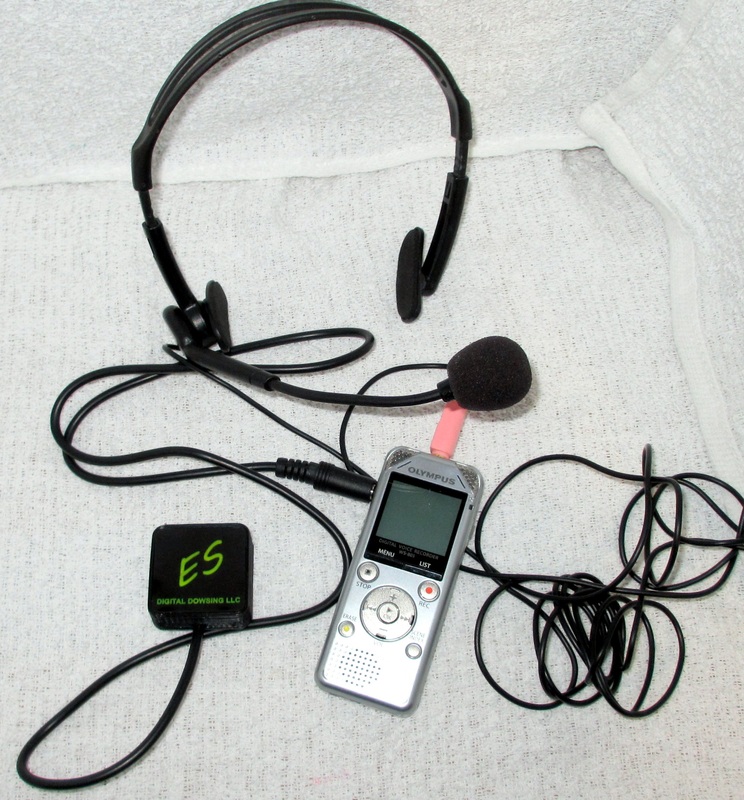 The headset has a microphone which feeds into the digital recorder. This is a throughput to the Energy Speaker which converts the my voice to silent electromagnet waves of my voice. Maybe the spirits will respond to that frequency. 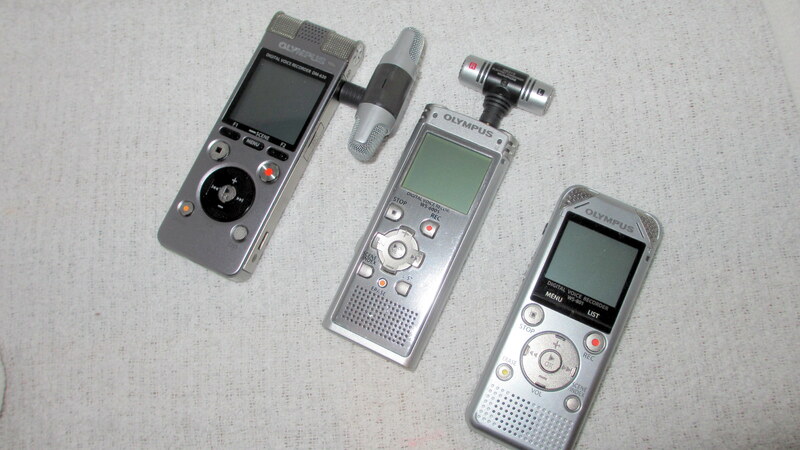 These are used during the Yes-No flashlight sessions. The rubber ring under the twist top is removed to allow for easy manipulation by the spirits. 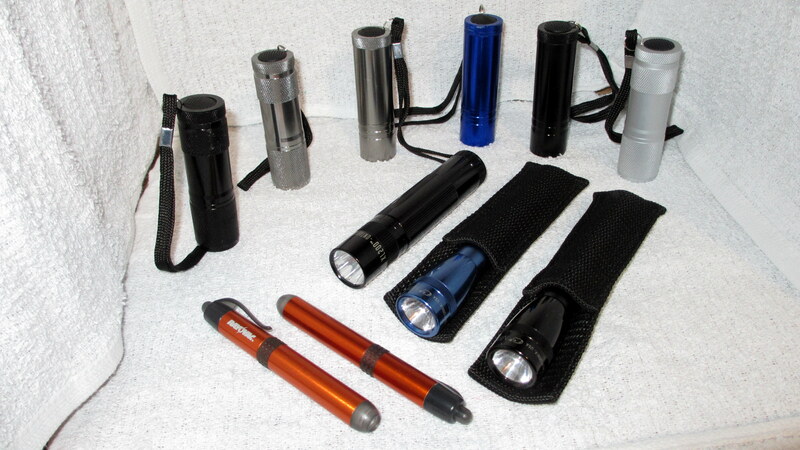 The additional flashlights are handed out when we do public ghost hunts at the Palace Theatre. 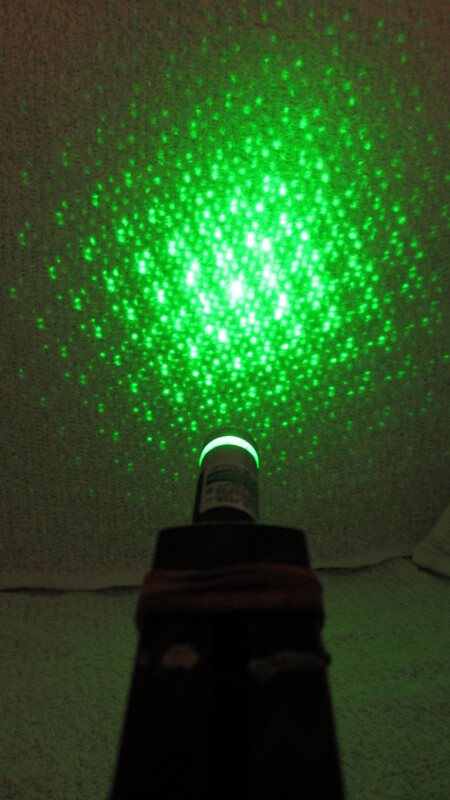 This high powered laser emits a grid of green dots useful for detecting shadows or general visual disturbances during an investigation. 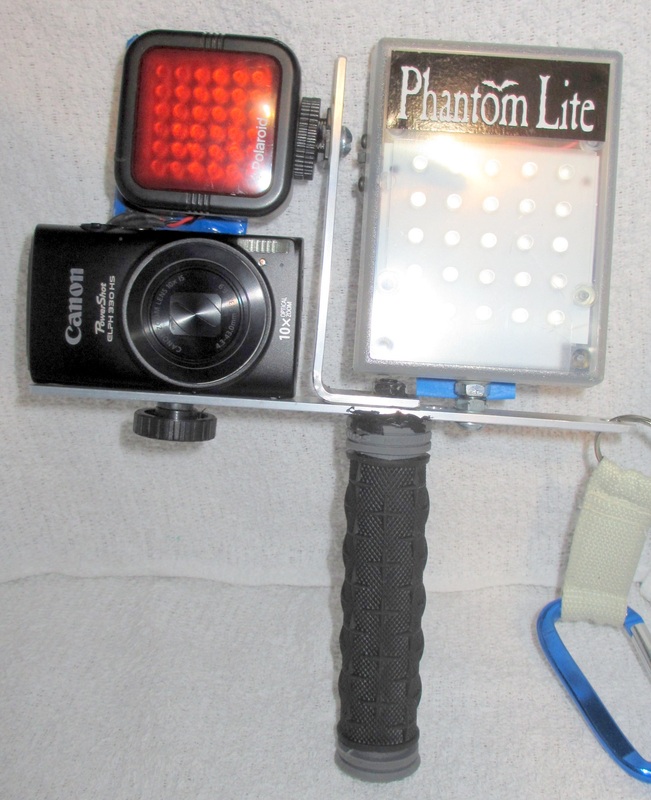 This is my home made camera fixture which houses the IR and full spectrum lights along with the modified Canon Powershot camera. The clip on the right allows me to hang this on my belt. The yellow set was purchased off the internet. 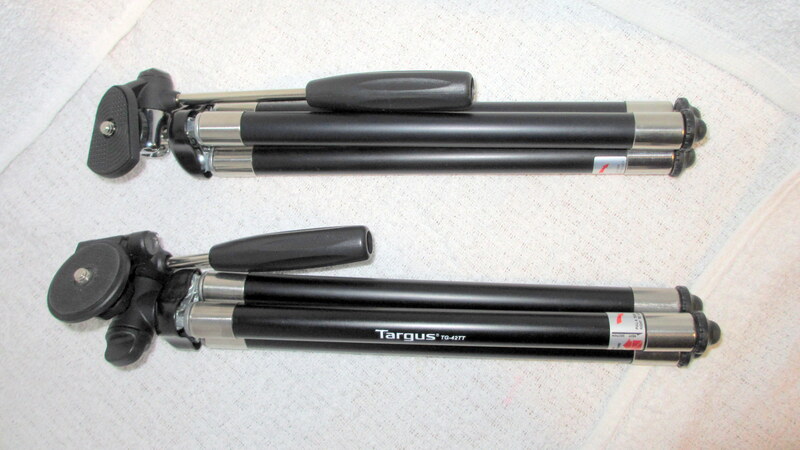 I made the black set which has bearings in the handles which makes the rods very sensitive. 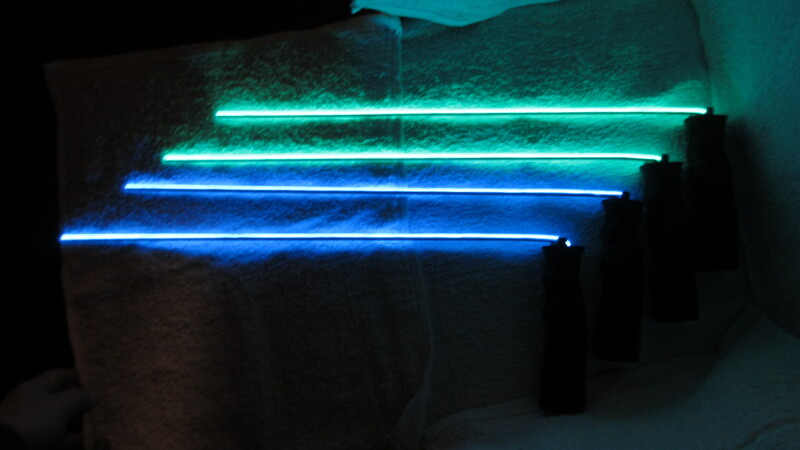 Both sets are coated with glow-n-the-dark paint. We charge them up and that allows people in the room to see them in the dark. The black tube with clip is my dowsing rod holder which allows me to clip them to my belt. 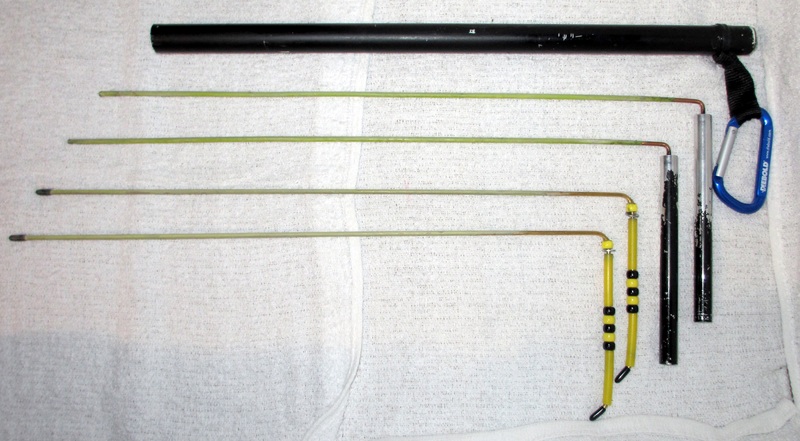 I designed and build these one of a kind EL dowsing rods. 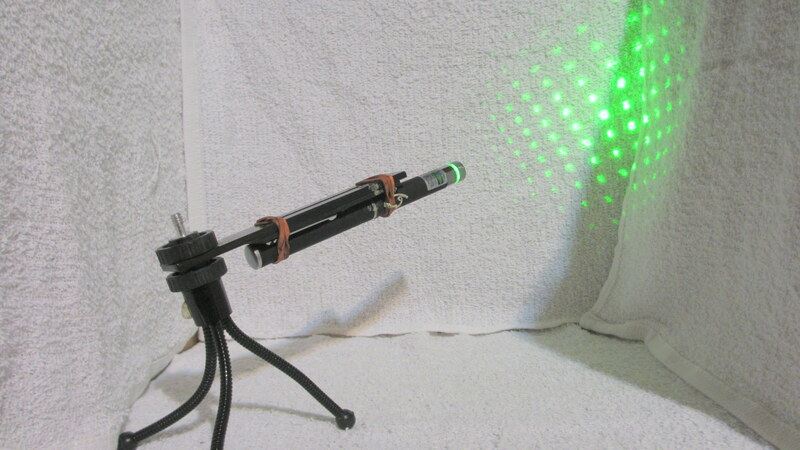 They are very cool to use and we have gotten some good responses from the spirits. 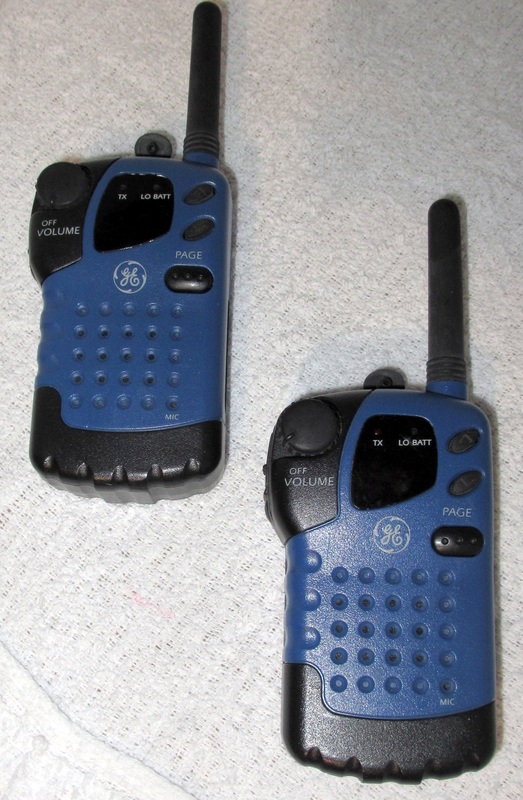 Walkie talkies are good to have at big locations like the Ohio State Reformatory or the West Virginia Penitentiary. 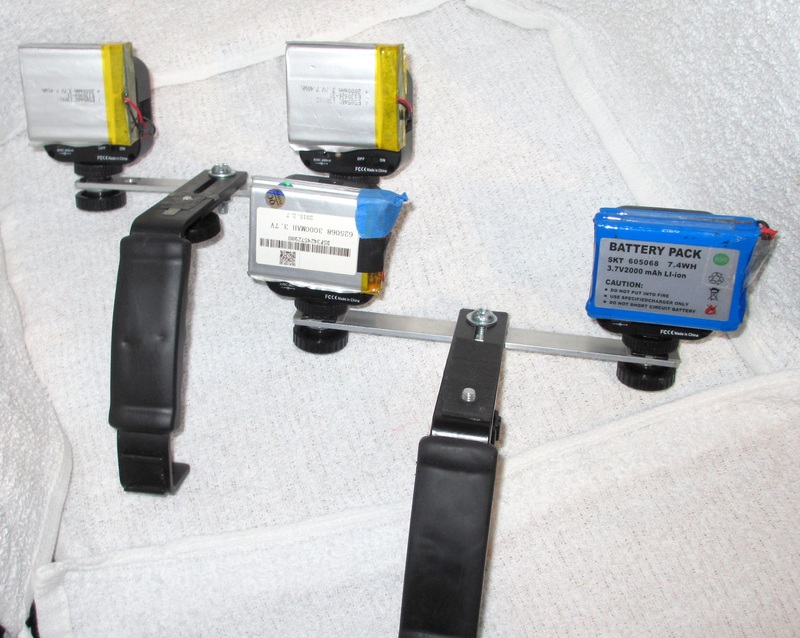 Be aware that using them will set off some of the EMF equipment. Trigger objects greatly improve your chances to interact with the spirits. 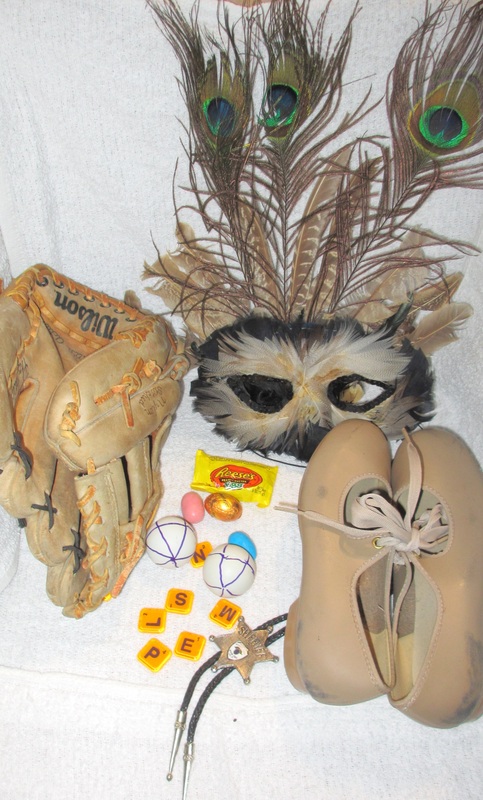 The objects to the left are for happy places like the Palace Theatre and places that have spirit children. 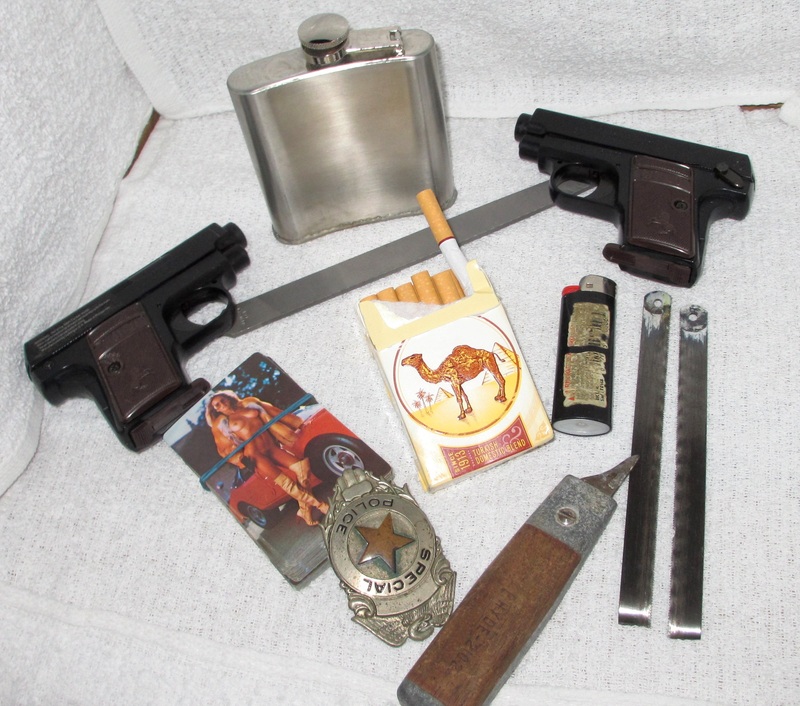 The trigger objects shown above are used at locations such as the Ohio State Reformatory, Licking County Jail, speakeasy locations etc. Many times I will tell the spirits that we will be organizing a jail-break and I will bribe them with cigarettes, booze and hand out hacksaw blades. I use to carry my equipment in a backpack, but that made it awkward looking for stuff. 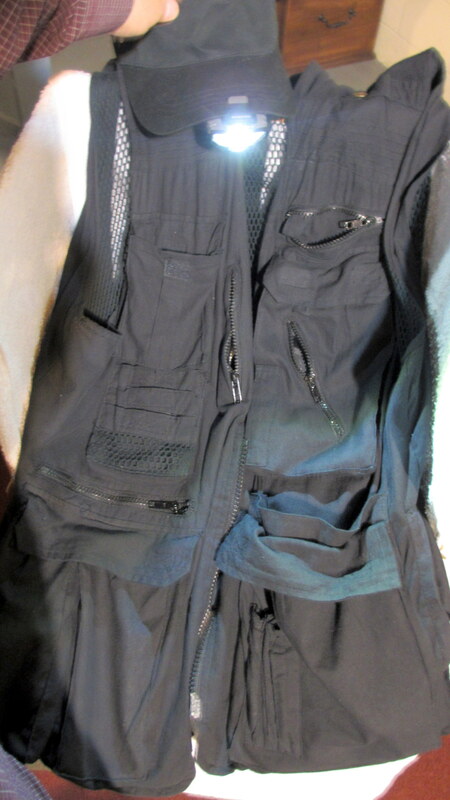 This photo vest by Humvee is great , but I still get confused what is where when I have 20 pockets. The light shown in the picture is my visor with an attached LED light in the center. This frees up my hands for doing other things. These are 48″ compact tripods. During an investigation I will attach this to my camcorder light fixture. 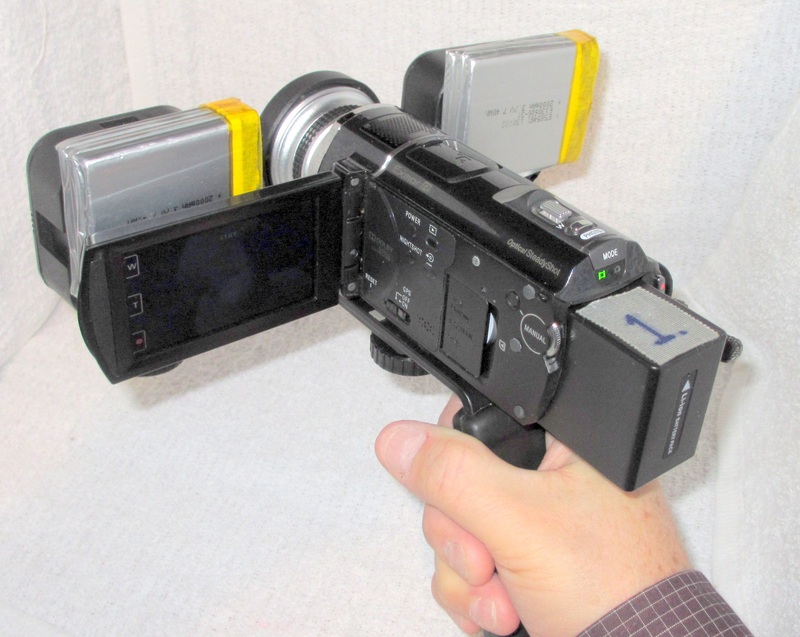 This allows me to quickly set it up in a room so my wife and I can both sit in the view of the camera. 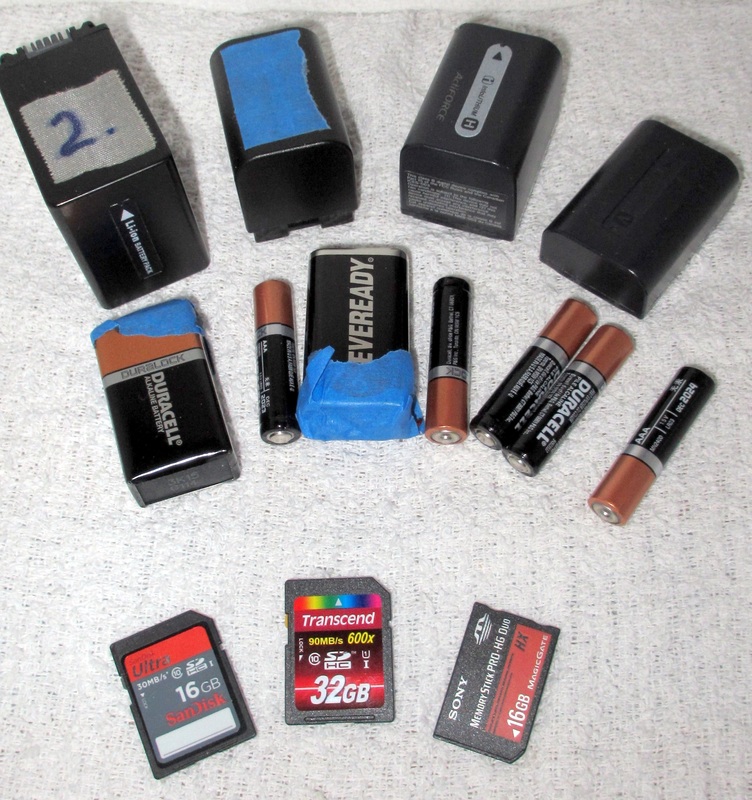 Extra batteries and SD cards are a MUST. 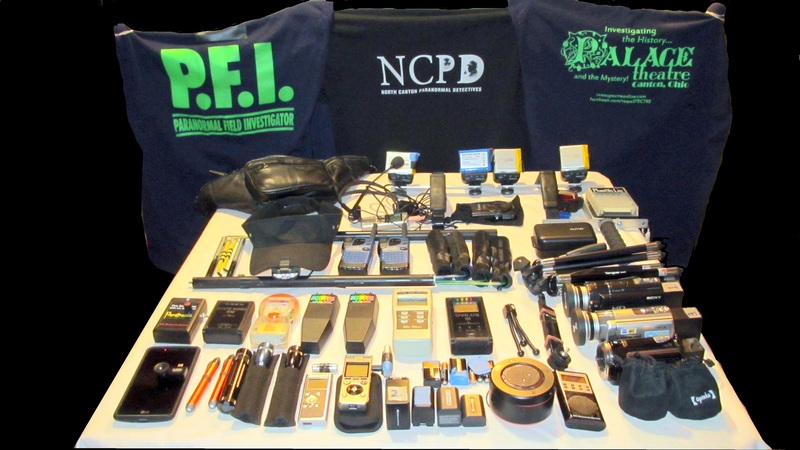 You do not go to an investigation and pay $45 to $85 only to discover one of your pieces of equipment has a low battery or that the memory chip is full.